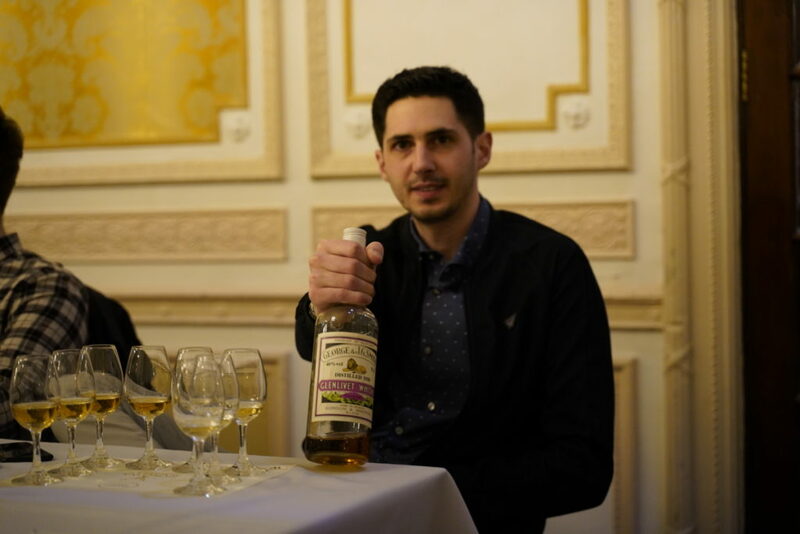 We have had some great whisky tastings at Whisky-Online since we re-introduced them towards the end of 2018. Our first was hosted by Distel with some awesome whiskies from Bunnahabhain, Deanston and Ledaig. This was followed nicely by our Burns Night Tasting in January, hosted by Brown-Forman. 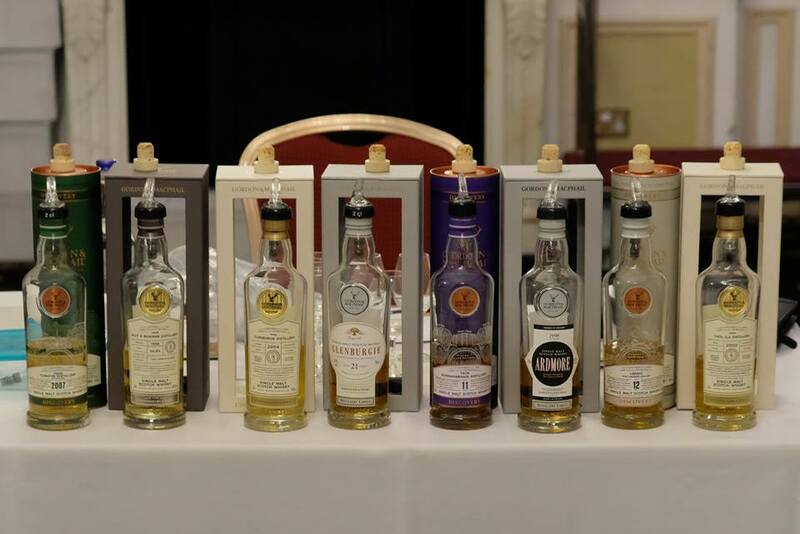 The line-up featured the ever-popular sherry matured whiskies from Glendronach and the greatly-underrated whiskies from Benriach and Glenglassaugh. It was always going to take a few tastings to get back into the swing of things in terms of organising and running them. As well as making people aware that we will be holding them on a regular basis again. 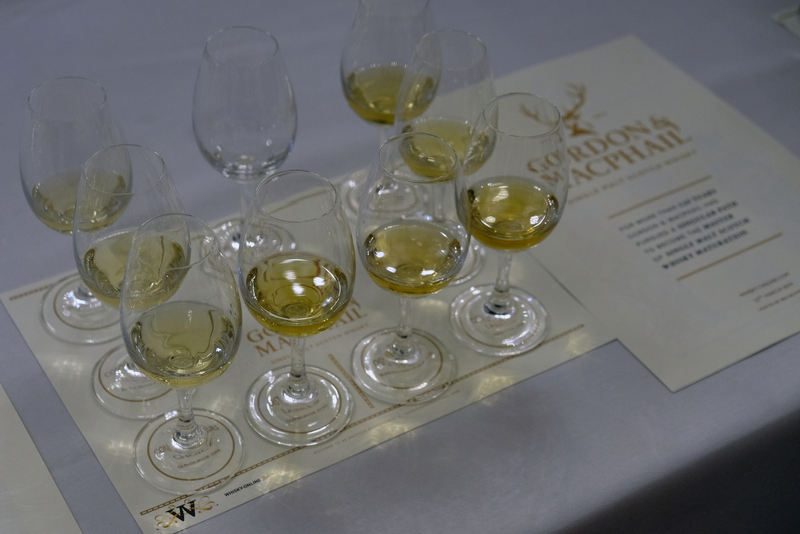 For our March tasting, we wanted to continue with more quality whiskies and therefore we joined up with our good friends at Gordon & MacPhail. 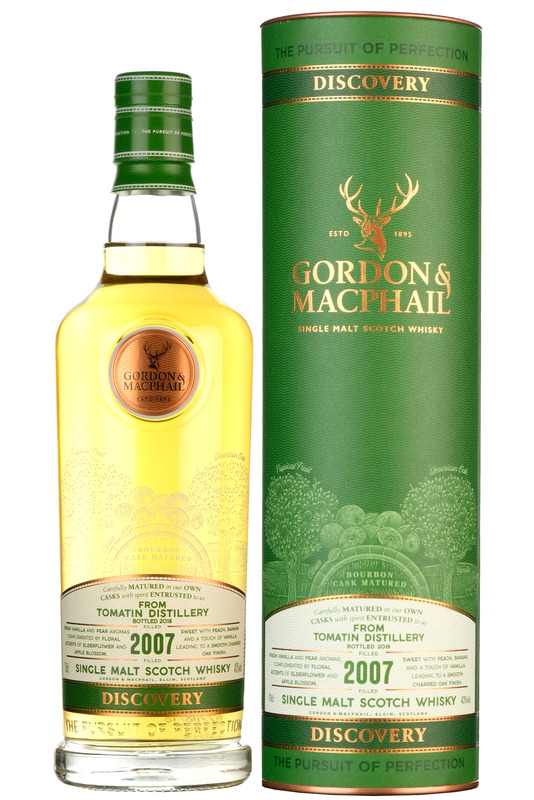 Gordon & MacPhail are one of the oldest and most iconic independent bottlers of single malt whisky in the World; established in 1895 as a grocer selling teas, coffees, wine & whisky. 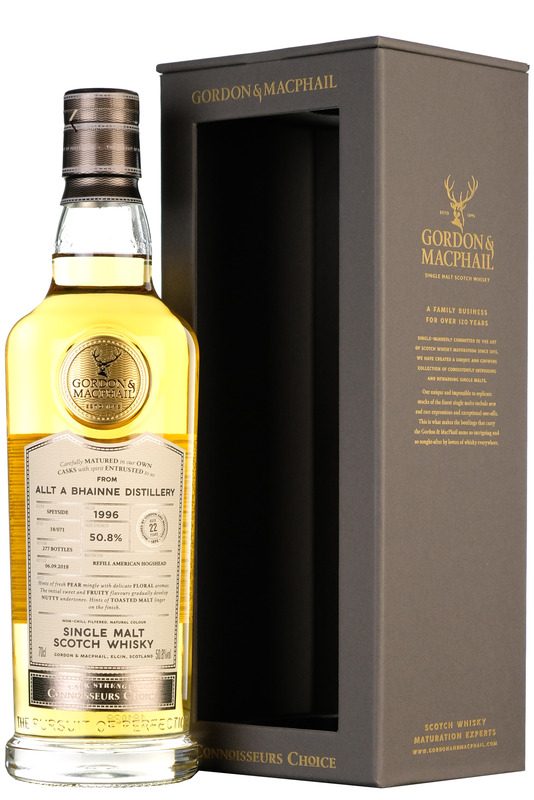 It is worth mentioning that G&M aren’t technically independent bottlers as they buy in the spirit and use their own casks and warehouses for maturing. As well as caring for them from start to finish. G&M also bottled whisky under licence for numerous distilleries for many years simply because not all distilleries had their own bottling plant. They’re still doing this today and have recently started marketing this more prominently with their ‘Distillery Label’ range. Other series they are well known for are their Connoisseurs Choice, Rare Old, and Private Collection series. Nose: Lovely amount of vanilla from the bourbon casks and lashings of stewed apples and pears which reminds me of my nan’s kitchen on a Sunday afternoon. 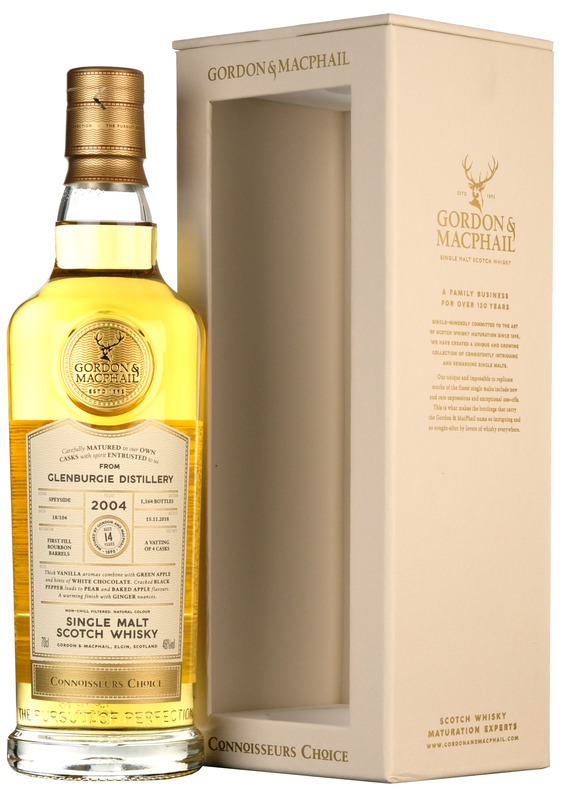 Palate: Medium, clean with an initial hit of spiced vanilla and then the lovely soft feel of peach melba, pear and an almost toffee banana kind of flavour. Finish: The initial spice has disappeared leaving a nice oak finish. Comments: A new addition to our shop and a great, clean, crisp and well-balanced whisky to start the evening on. Nose: I can see why Ben chose this whisky to go second. Lovely stewed apple and pear but with a sweet and slightly malty edge. Even with this being cask strength, the initial alcohol burn gives way to those awesome flavours. I like this, and I am back in my nan’s kitchen! Palate: Medium and clean and those sweet, citrus, fruity flavours really come into play now. That lovely hint of malt is still there balancing everything out nicely. Finish: A slightly spicy and nutty finish but the citrus sweetness balances this so well. Comments: I’ll hold my hands up and admit I have not tried many Allt A Bhainne’s in my time, I am really not sure why, but this whisky has really surprised me in a good way. Nose: The nose on this takes things up a notch. Thick and creamy vanilla notes with fruit cake and white chocolate. I keep going back to this on the nose, its ace and it seems to get sweeter as it opens up. Palate: A slight nutty spice and then a burst of flavour with fruitcake and apple and a hint of tropical fruit. Definitely as good as the nose. Finish: Lovely and long with a sweet spice kind of flavour and hint of citrus. Comments: A great all-round dram that ticks all the boxes for me in terms of nose, palate and finish. It is not super complex but just right, the kind of whisky that I call “dangerous” as you can just keep pouring. Pass me another please! Nose: This is a typical aged Glenburgie nose. Complex and rammed full of stewed fruits, brown sugar and slight floral aromas balance this very well. It’s definitely a whisky you could nose all night. Palate: More stewed fruit, with cinnamon and cloves, then leading to a lovely summer fruit flavour. Finish: A delicious long sweet and oaky finish with a hint of malt. Comments: What a whisky to finish the first part on! 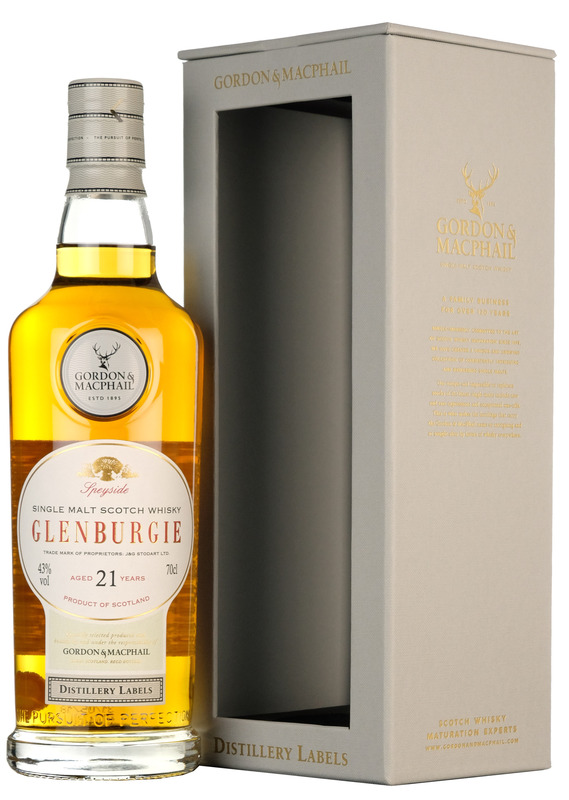 Glenburgie through and through with those lovely stewed fruit flavours. That’s it for the first part, come back for the remainder of the G & M tasting write up next week and we will have some notes on this amazing bottle that Harrison kindly shared with us at the break. Harrison with his surprise dram. Glenlivet 1938.